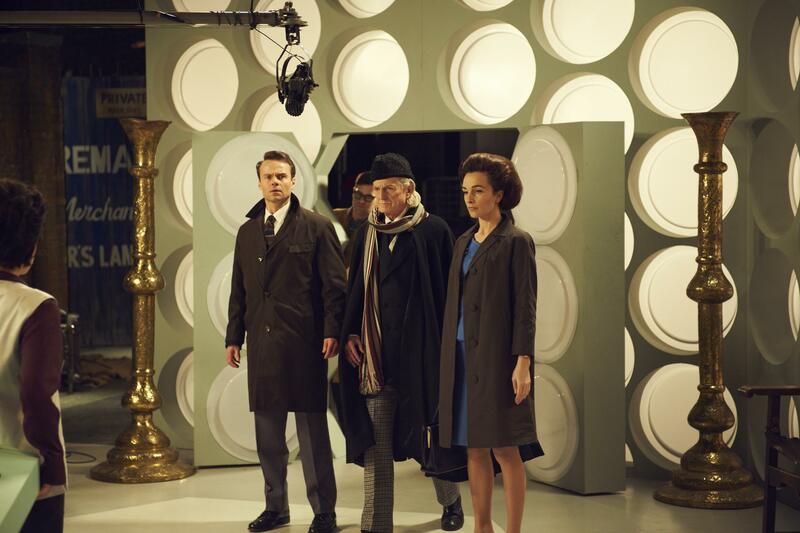 The Doctor Who 50 Years’ Trailer was tonight broadcast in Australia on ABC1. 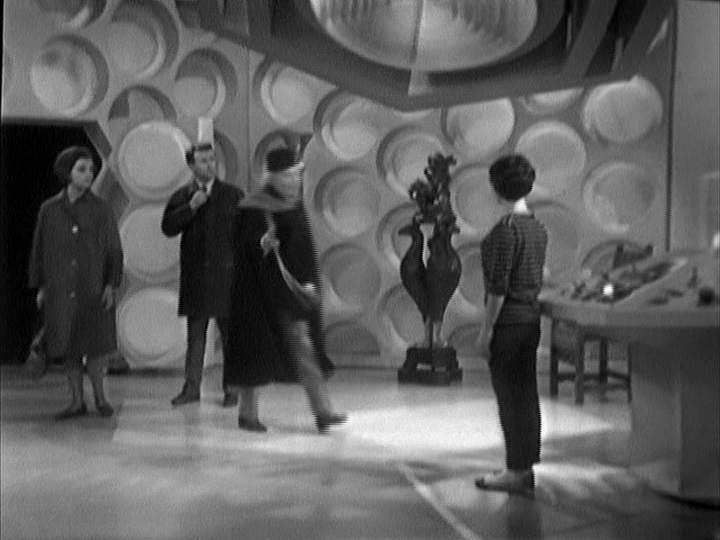 The 60 second teaser was aired after Kakadu and just prior to the 8.30 p.m. start of Luther. 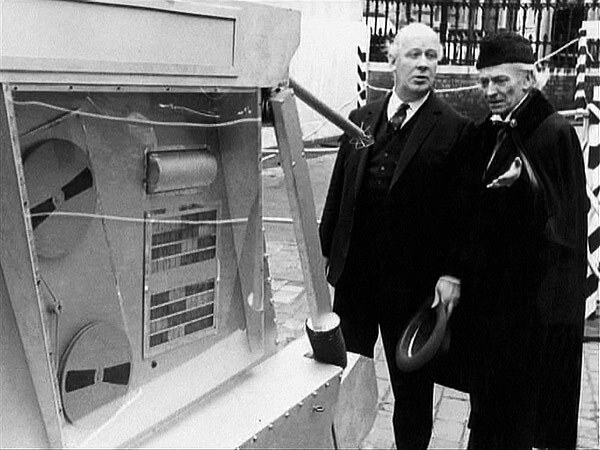 In all respects the trailer is identical to the one shown on BBC One seven days earlier with the exception of the final sting. 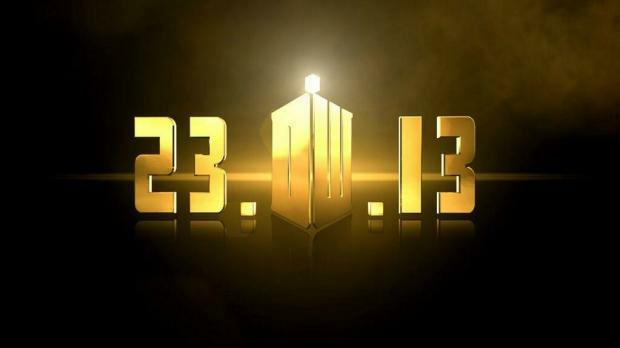 As Australia’s time is ahead of Britain’s the simultaneous broadcast of the 50th Anniversary Special, The Day of the Doctor, on the evening of 23 November UK time will actually be early on the morning of 24 November 2013, Australian time. The sting on the Australian version of the trailer therefore states 24.11.13. 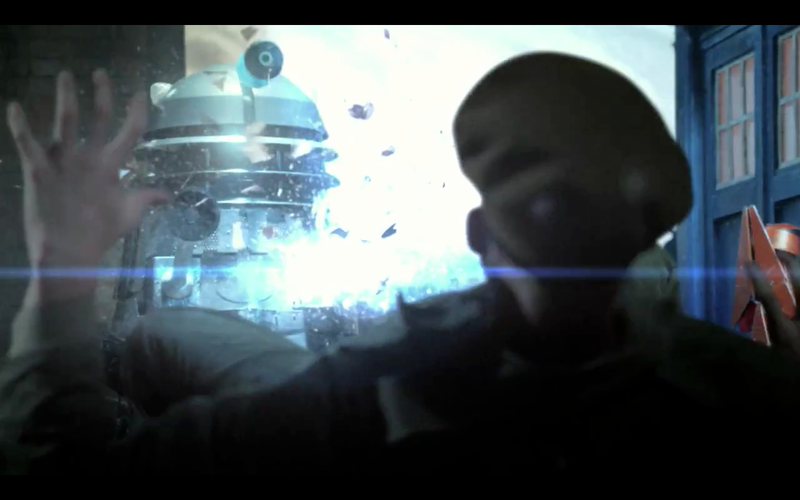 You can view the 50 Year’s Trailer here. 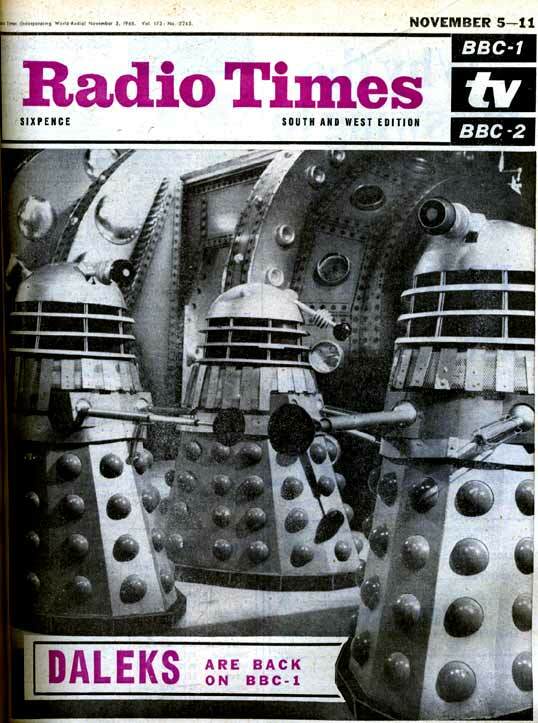 The Radio Times is a weekly radio and television programme guide which has been published in the UK since 1923. Owned and published in house by the BBC until 2011, the publication is now owned by Immediate Media Company. 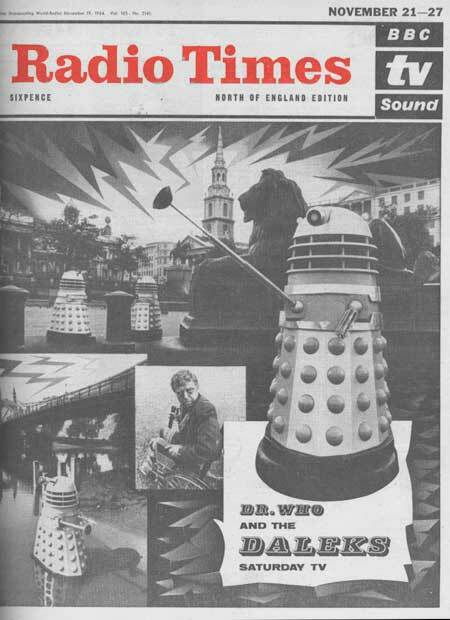 Prior to the deregulation of British television listings in 1991 the Radio Times only carried listings for BBC radio and television programmes. Since then the magazine has comprehensively listed programmes on all networks. 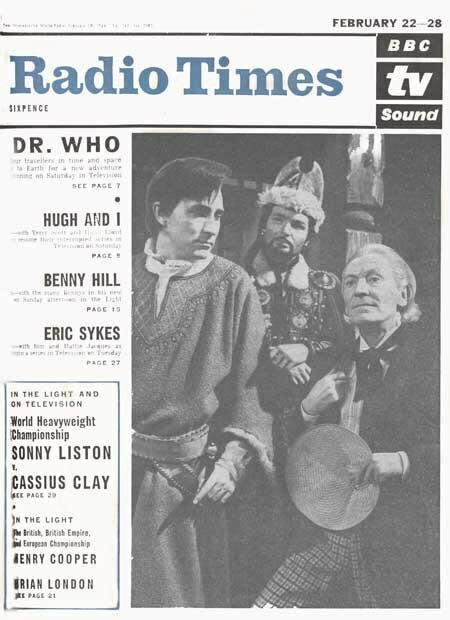 Doctor Who has been represented in more Radio Times covers than any other programme, with 29 issues featuring Who on its cover. 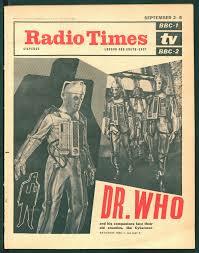 Today the Doctor Who Mind Robber will review the five best Doctor Who Radio Times covers of the Sixties. 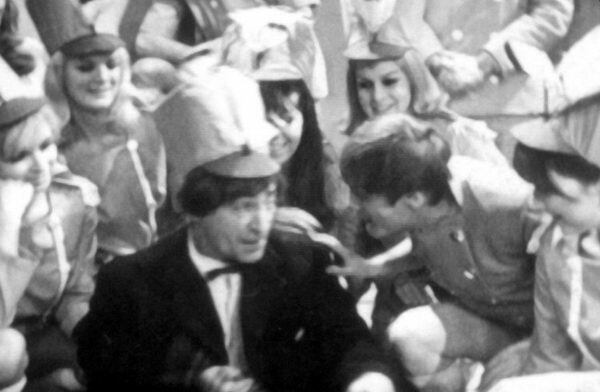 The return of the Daleks was worth a Radio Times Cover story when the Second Doctor’s first serial, The Power of the Daleks, was broadcast in November 1966. 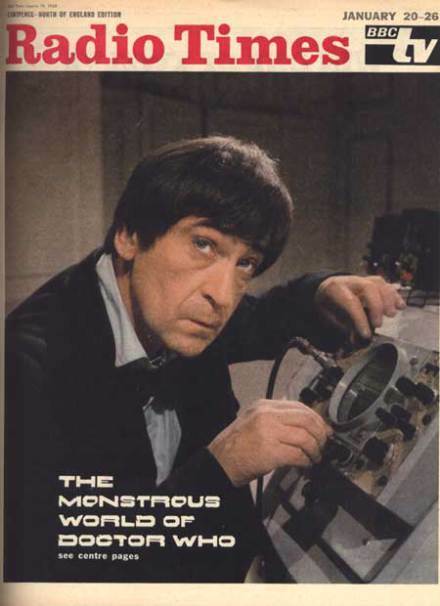 A rare colour cover for 1960s Radio Times with Patrick Troughton as the Second Doctor in The Enemy of the World in January 1968. 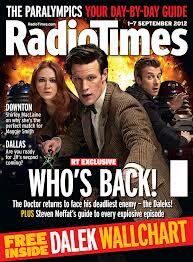 As a comparison with the current era, here’s a September 2012 cover of the Radio Times featuring the Eleventh Doctor, Amy and Rory. 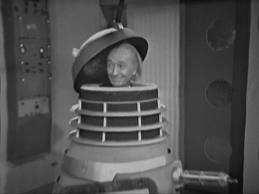 The Daleks are still a major draw card. 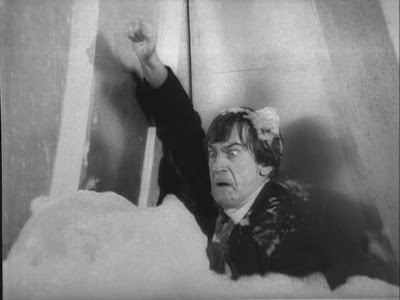 The success on iTunes of the recently recovered Troughton era serials, The Enemy of the World and The Web of Fear, has conclusively shown that 45 year old monochrome Doctor Who can successfully compete against the best current release TV shows. 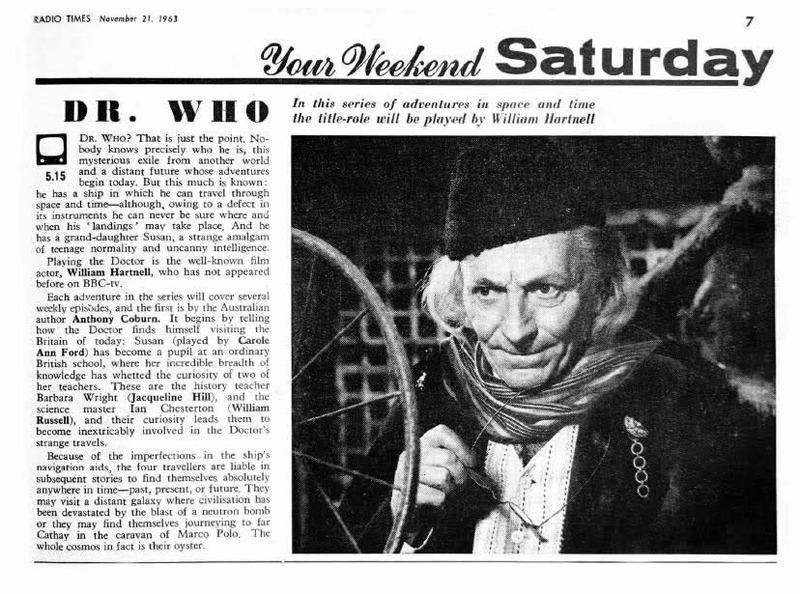 An article in the UK’s Mirror newspaper states that in the first three days after the release of the two stories 10,000 series pass downloads were sold. Presumably this figure is for sales in the UK only. The article goes on to state that to date there have been 73,000 episode downloads. 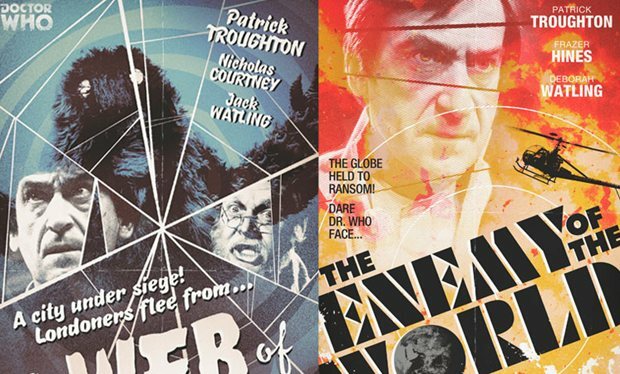 The Enemy of the World and The Web of Fear have only been released on iTunes in the UK, US, Canada and Australia. Enemy is due for release on DVD in late November and Web is due sometime in the New Year. 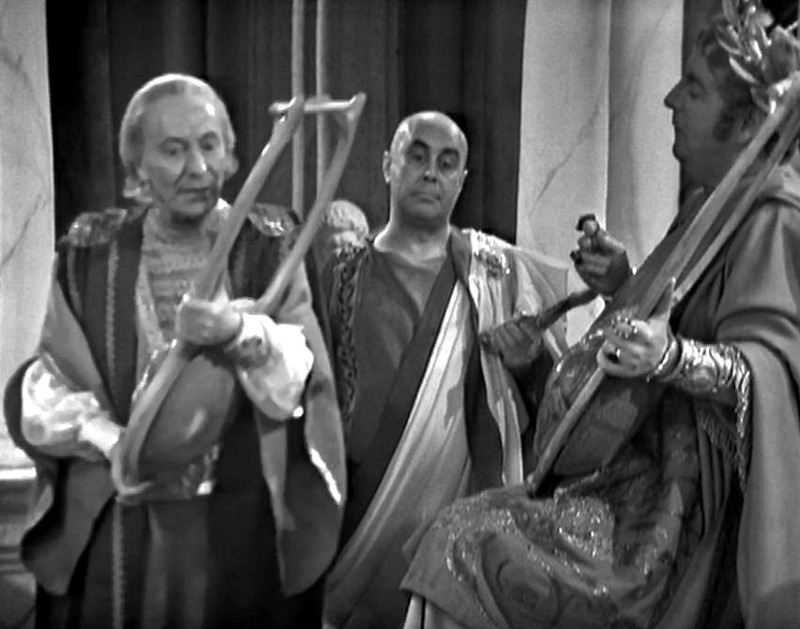 Rumours continue to surface that Marco Polo may have been recovered and is soon to be released. 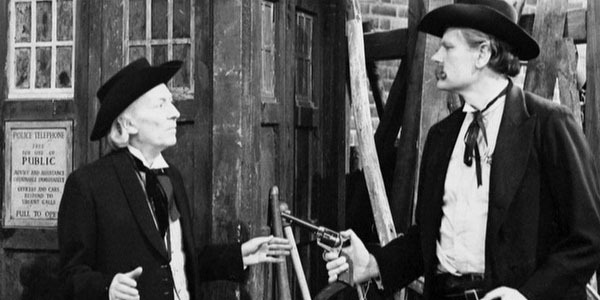 In the light of Doctor Who’s missing episodes hysteria the Doctor Who Mind Robber today looks at 5 Serials that you’d swap for missing episodes. 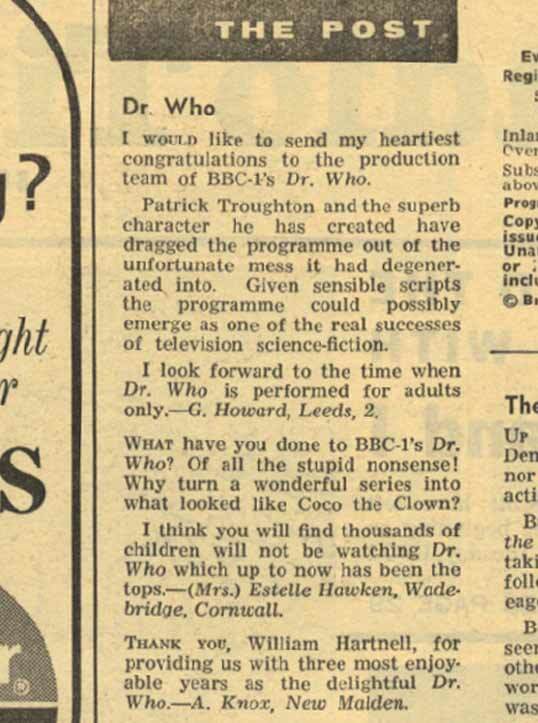 Even the most rabid of fans acknowledge that the output of Doctor Who has never been consistent. Some stories are brilliant whilst others would have been best left unmade. 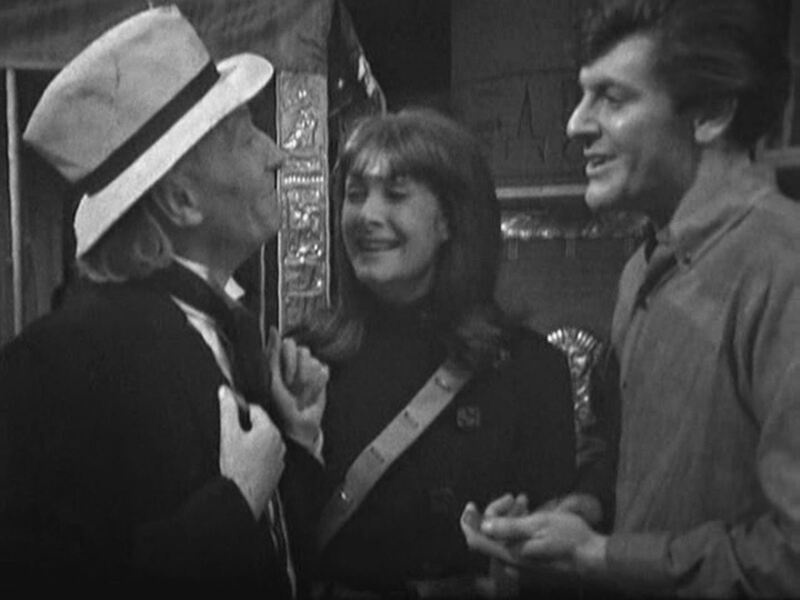 As 97 episodes are still claimed by the BBC to be missing from their archives, which extant episodes would you willingly ditch for a recovered one? Little more needs to be said. 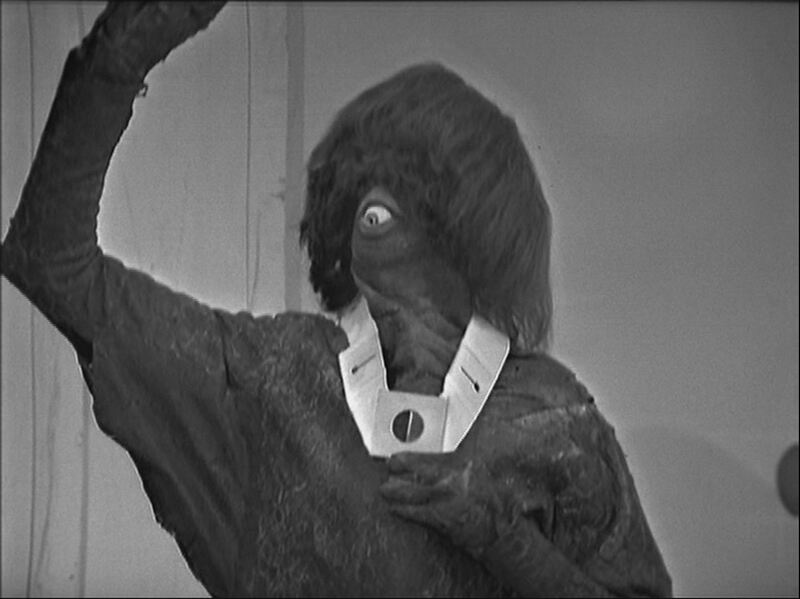 Also travelling on the spaceship are an assortment of animals and the Monoids, a peculiar mute race whose most distinctive feature is their one eye. This single eye is in their mouths, or at least what would’ve been their mouths if they had human anatomy. These eyes are actually painted ping pong balls which the actors held in place with their mouths. Now that’s ingenious small budget special effects for you! On the top of their heads is a long Beatles style mop top wig, whilst the rest of their bodies are clothed in green ill fitting garb. They have webbed hands and feet and move slowly. 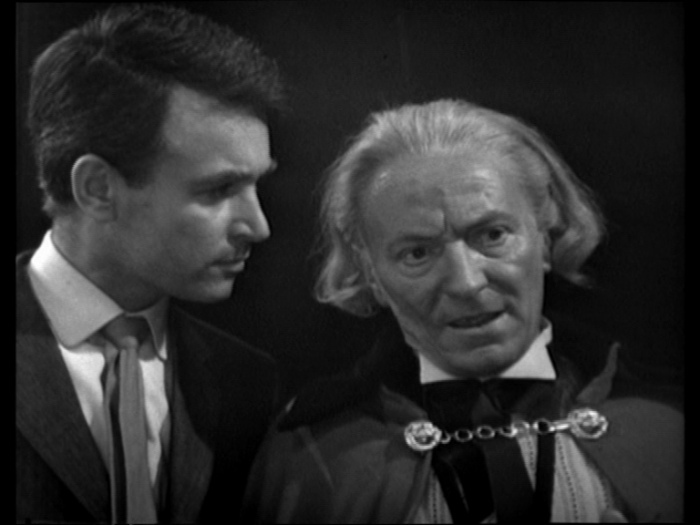 The Keys of Marinus is the second of two little regarded serials in Doctor Who’s first season. 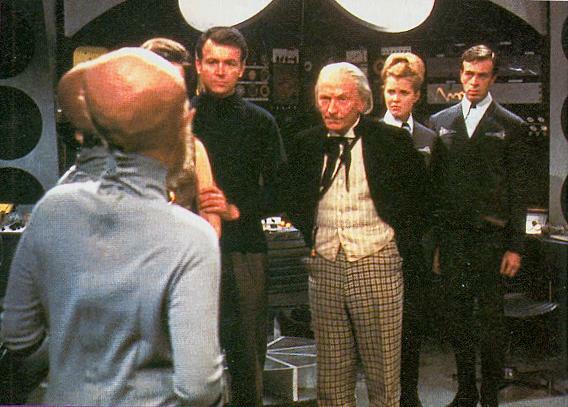 The six parter was among the more expensive stories to produce as each episode took place in a different location of Marinus. 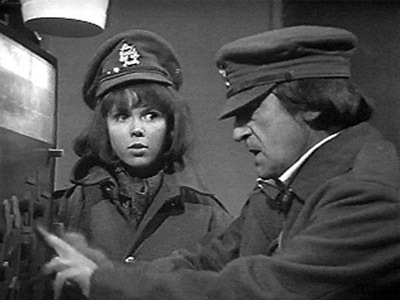 Season 16’s The Key to Time is not dissimilar. 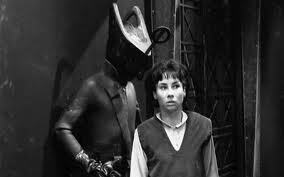 Unfortunately the variety of locations makes for a disjointed serial and the chief monsters, the Voord, are what young people today might best describe as “rubbish”. With wet suit clad bodies and swimming flipper feet their most redeeming features were their quite unusual heads. In my review of The Space Museum I discussed the DVD extra, Defending the Museum. 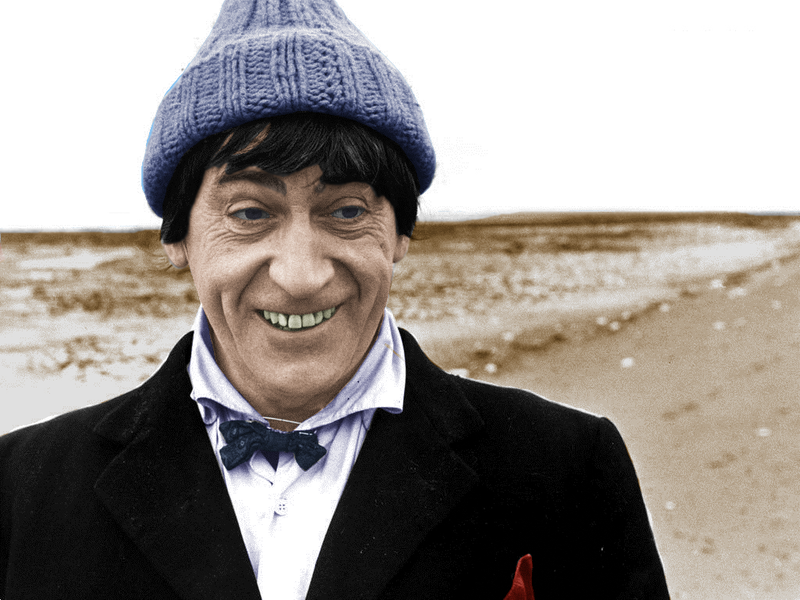 In it the writer Rob Shearman outlined his devotion to The Space Museum which rests solely upon the assumption that the story is a parody of William Hartnell era Doctor Who episodes. The aggressors, the Moroks, are little more than morons who invade a planet only to turn it into a museum for their past achievements. The rebels are excruciatingly bad. Dressed in black polo neck jumpers, they look like students in a coffee bar. Vicki starts a revolution only because she’s bored and the native Xerons don’t need a great revolutionary, just a locksmith! That The Space Museum can only be appreciated if it’s considered a parody says much for the low esteem in which it’s generally held. The serial is unlikely to be missed. I was so utterly bored by The Web Planet that I couldn’t even find the enthusiasm to review it. 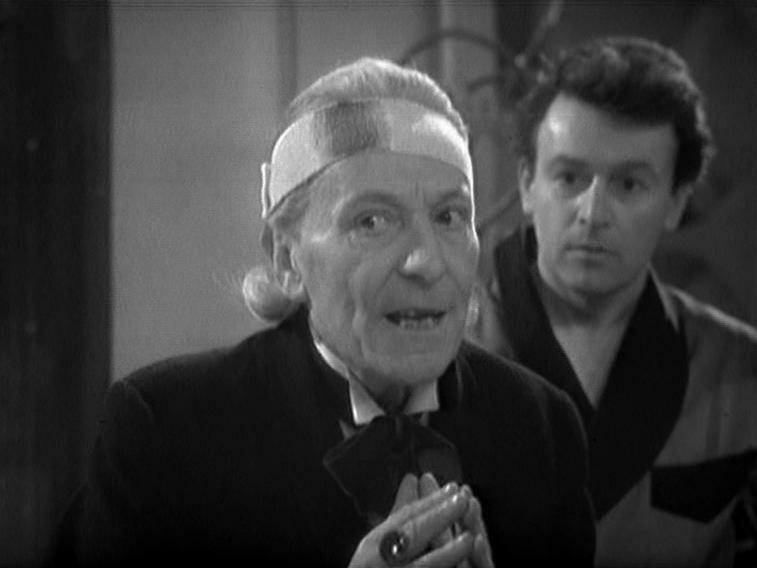 The best parts of the story are William Hartnell’s “Billy Fluffs” and when an extra ran slap bang into a camera and it wasn’t edited out. This fan made compilation clip, however, is brilliant. 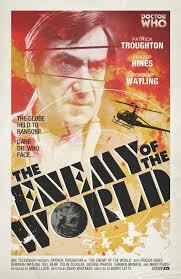 The recently recovered missing serial The Enemy of the World is set for DVD release in Australia and New Zealand on 27 November 2013. 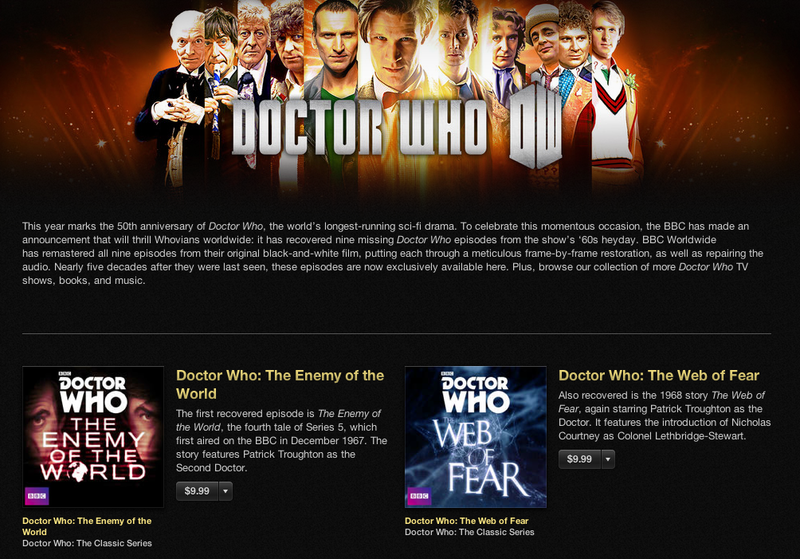 Although both The Enemy of the World and The Web of Fear were released on iTunes Australia on 11 October, neither of the serials are available on iTunes in New Zealand. 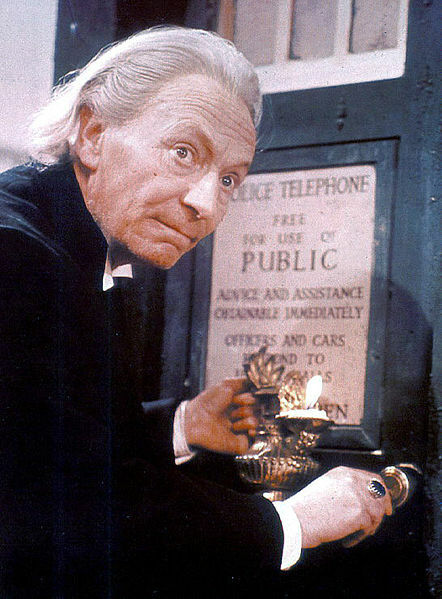 Like Australia, New Zealand has purchased and aired Doctor Who since the very first story, An Unearthly Child, almost 50 years ago. The BBC’s snub of New Zealand fans is deplorable. 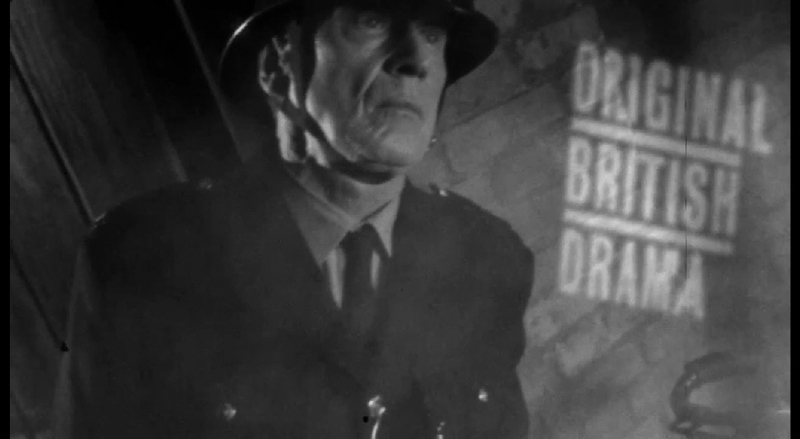 As The Web of Fear is not due for DVD release until sometime in the new year, New Zealanders still have a long wait to see the Brigadier’s debut. 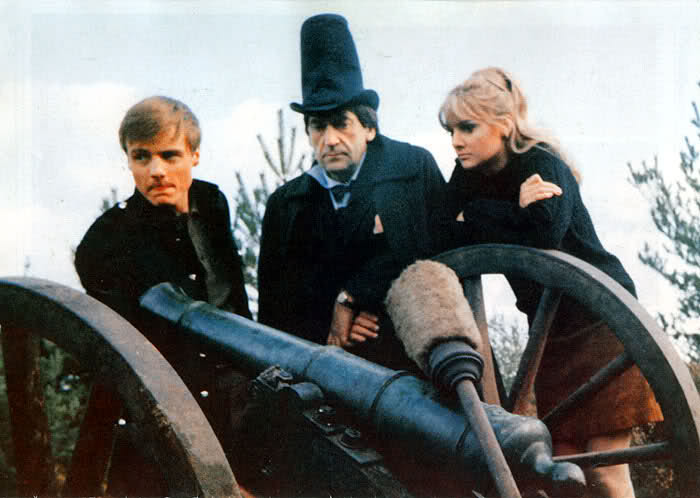 Details on what, if any, special features are included in The Enemy of the World have yet to be released. 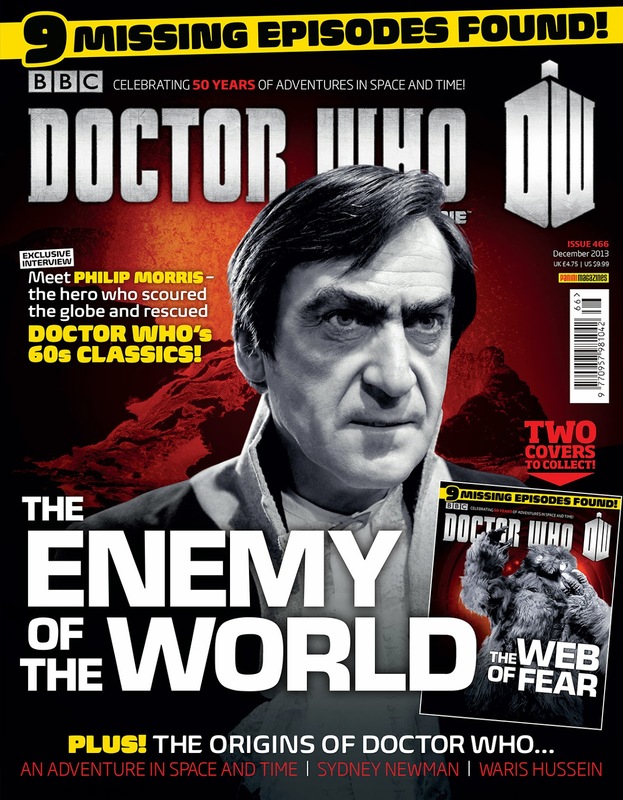 The latest issue of the Doctor Who Magazine states that “Enemy is due to be released on DVD in November, along with special features yet to be confirmed”. The British Board of Film Classification appears not to have approved any special features to date. A basic release without special features has become known in fandom as a “vanilla” release. 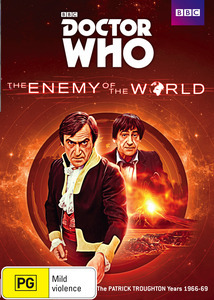 Enemy is currently available for pre-order at both the BBC Doctor Who online store and the ABC Shop for $19.95. 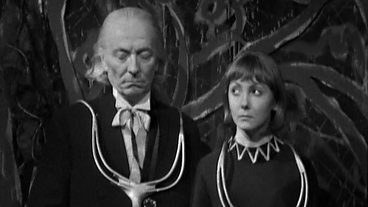 As both retailers ordinarily sell new release Doctor Who classic series DVDs for $29.95 one wonders if the discounted price reflects a “vanilla” release. Alternatively, the reduced price may be based upon the assumption that purchasers have previously bought the release for $14.99 on iTunes. Only time will tell! 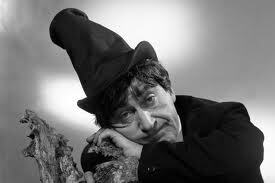 Yesterday the Doctor Who Mind Robber looked at the Second Doctor’s peculiar penchant for hats. Today we examine the First Doctor’s accessories. 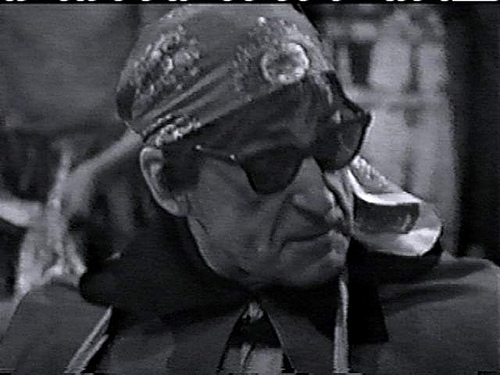 By accessories we refer to anything worn or used by the Doctor to compliment his clothing or to assist in his business as a time-travelling hero. 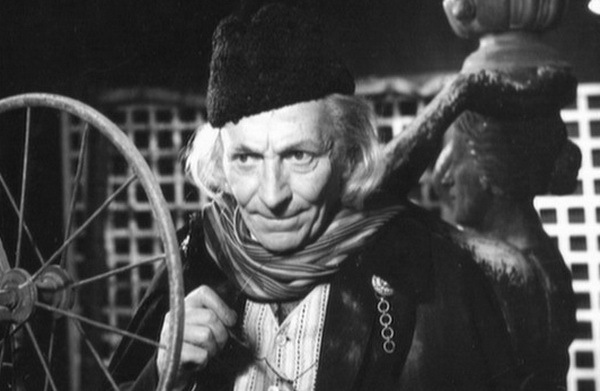 The First Doctor is perhaps best known for his blue signet ring, pictured above. Together with being decorative the ring also had special powers. 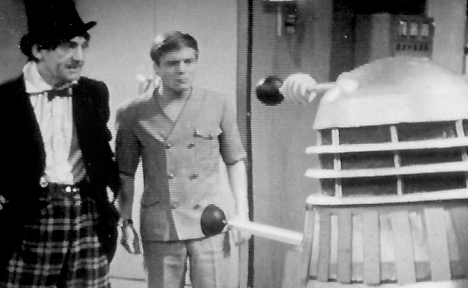 Amongst other things it controlled a Zarbi and opened the main doors of the TARDIS in The Web Planet; unjammed the TARDIS’s locking mechanism in The Daleks’ Master Plan; and hypnotised Dodo in The War Machines. 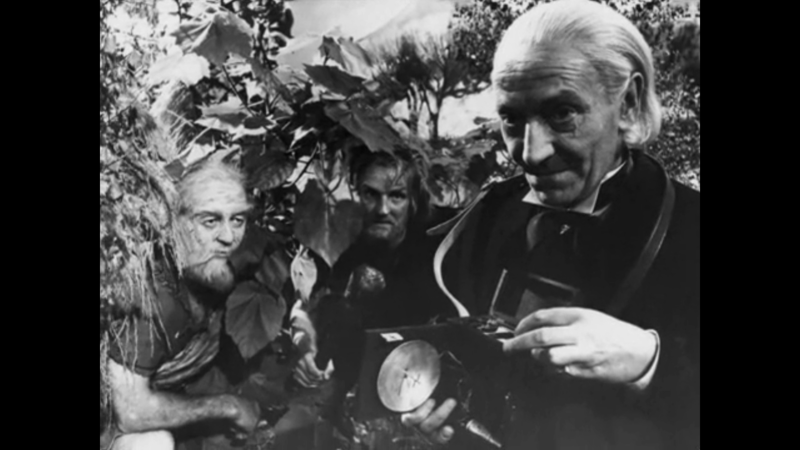 In the days prior to the sonic screwdriver, which was introduced in the Second Doctor’s tenure, the First Doctor’s signet ring worked magic. 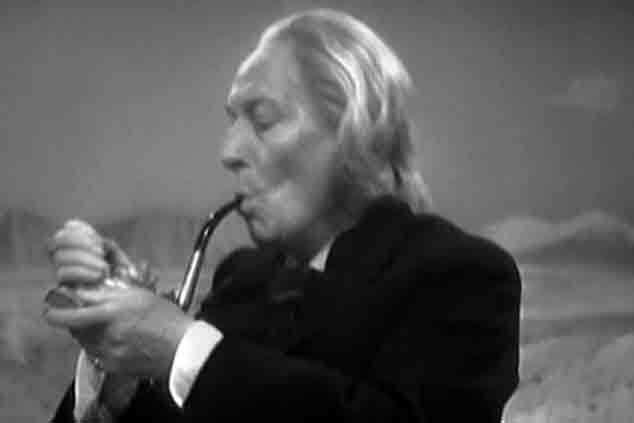 For the first and only time in Doctor Who’s history that the Doctor is seen to smoke is in An Unearthly Child. 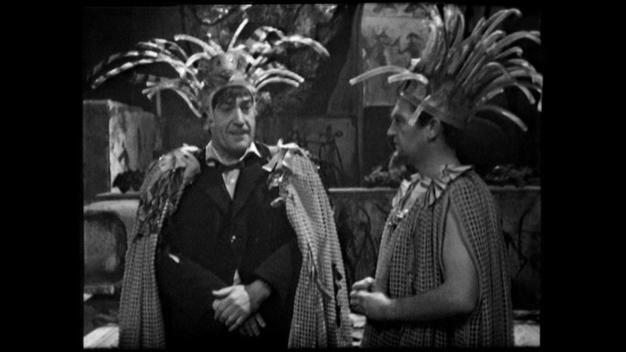 Patrick Troughton was seen smoking a cigar in The Enemy of the World but was playing the Doctor’s evil double, Salamader, at the time. 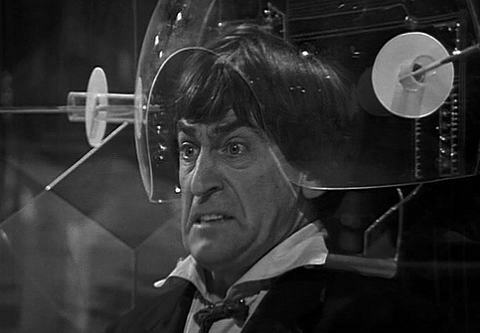 When the Second Doctor burst forth onto our television screens it appeared for short time that Doctor Who may have acquired a rather eccentric hat fancier as its new Doctor. 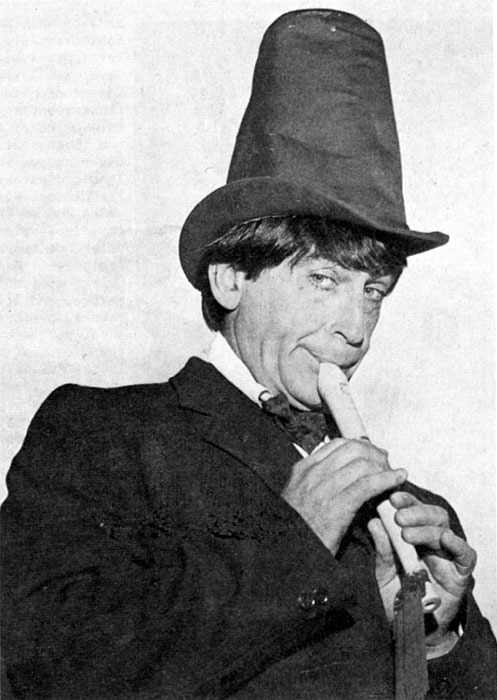 Decked out in a battered stove pipe hat, the Doctor was quick to remark upon hats he found enticing. 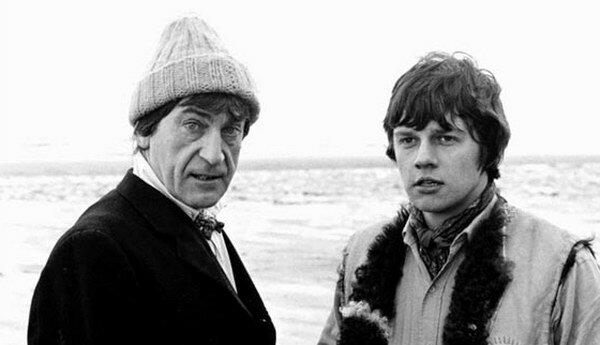 In his premiere serial, The Power of the Daleks, the Doctor complimented Bragen on his hat which he found very smart. 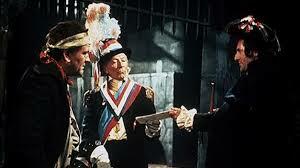 “I would like a hat like that” he told the Bragen, Vulcan’s Head of Security and rebel leader. 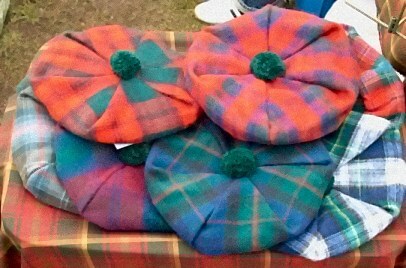 In his next adventure, The Highlanders, the Doctor quickly spotted a bonnet with eagle feather and Jacobite cockade. 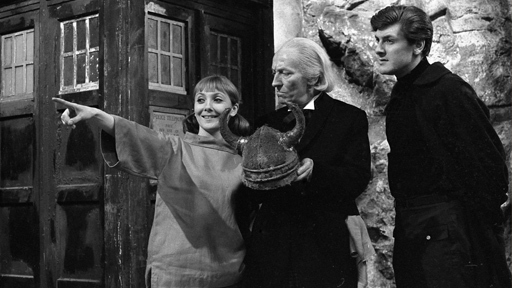 Putting the hat on the Doctor said to Polly, “I would like a hat like that. How do I look?” Polly replied, “It’s got words on it. With Charles our brave and merciful Prince Royal, we’ll greatly fall or nobly save our country”. 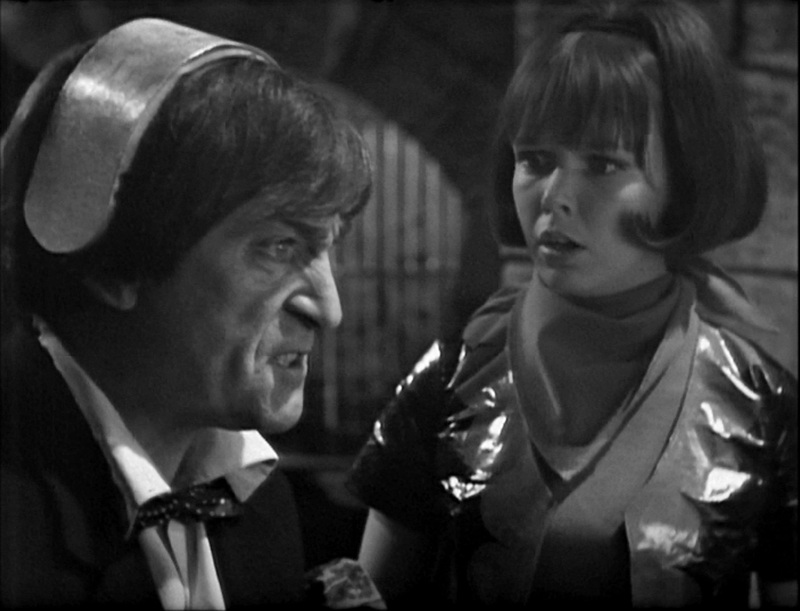 The Doctor’s response was “Bah, Romantic piffle”. He then threw the bonnet onto the ground. 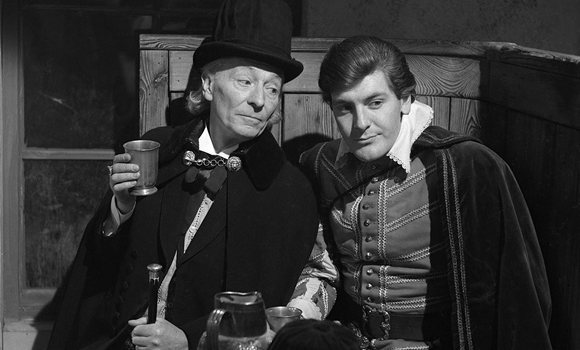 The Doctor again spoke of his desire for others’ hats in episode four of The Highlanders. 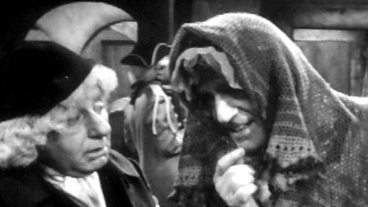 When Ben pulled a tam-o’shanter over his face the Doctor responded for the third time in his short tenure with the phrase, “I would like a hat like that”. 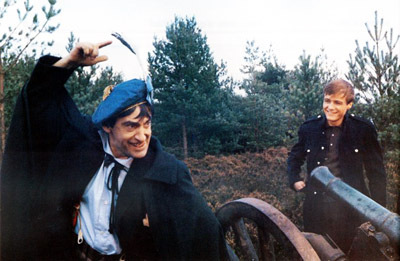 Alas, the Doctor’s obsession with envying others’ hats ended in The Highlanders. 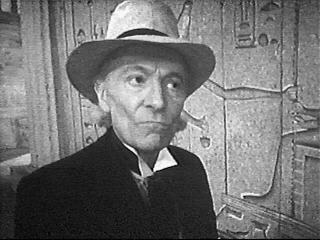 His own penchant for wearing hats similarly dissipated as his stove pipe hat was quickly relegated to the TARDIS’s chest. He donned hats from time to time thereafter, but never again would he have signature headwear. 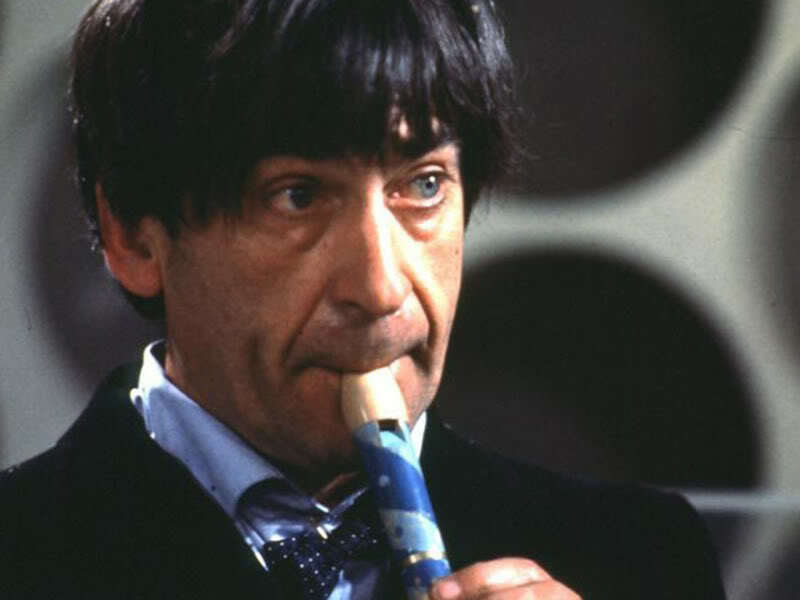 His recorder would be seen a little longer, however it too would soon find itself gathering dust somewhere within the realms of the TARDIS. In the tradition of Monty Python’s The Life of Brian, we will take a liberal interpretation of the word “hat”. 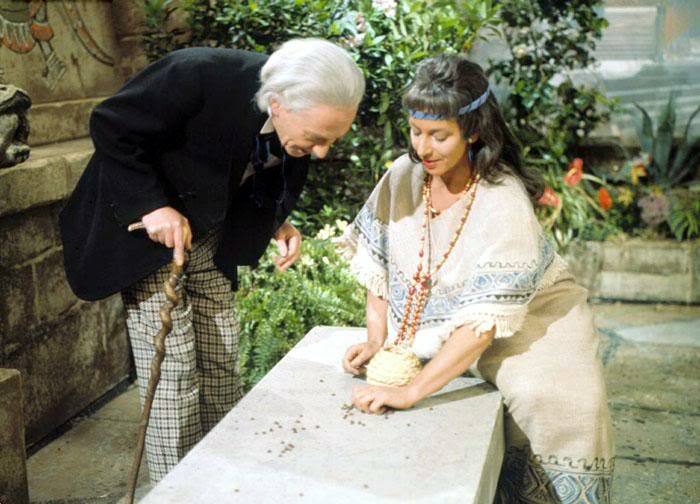 If it was good enough for Python not to take “Blessed are the cheesemakers” literally, and to accept that “it refers to any manufacturers of dairy products”, then it’s good enough for The Doctor Who Mind Robber. 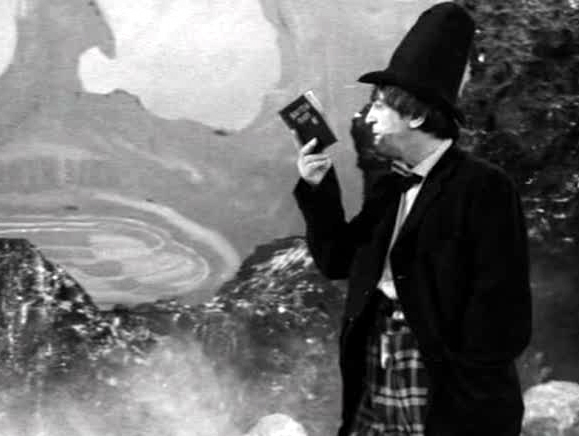 “Hat” will therefore refer to any headpiece or item of any nature whatsoever which was placed upon the Doctor’s head. 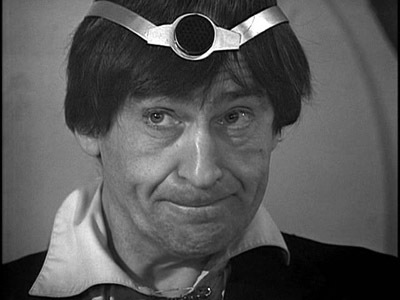 Join The Doctor Who Mind Robber as we investigate the Second Doctor’s fascination with headwear. 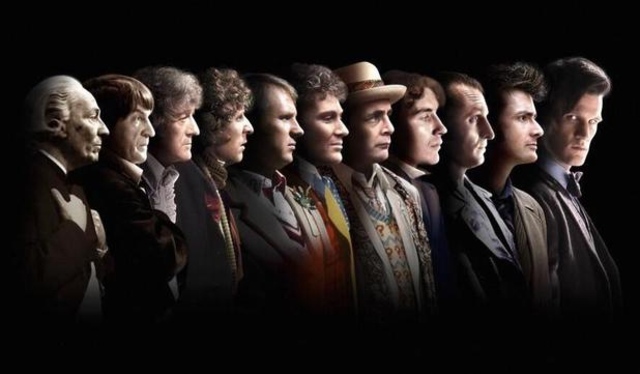 To chart the evolution of the Doctor’s headwear all serials are listed in broadcast order.